Home L.A. History These 13 Innovations Changed the World—and They All Originated in L.A.
Los Angeles has long been considered a cradle of innovation. 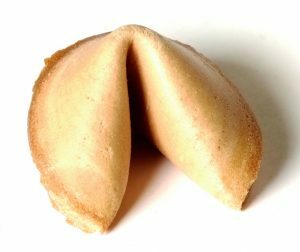 From the internet to fast food, gangster rap to Mickey Mouse, these are the origin stories behind 13 of our most significant cultural contributions. Edited by Chris Nichols and Marielle Wakim. Never has a doll been so popular (or caused so much controversy), but before she could go from L.A. girl to American icon, she had to prove she was more than a plaything to a male-dominated toy industry. How did you inspire your mom to create Barbie? What was your mom like? How does Barbie reflect your mom’s legacy now? “I’m proud of my mother. No one had created anything like it. 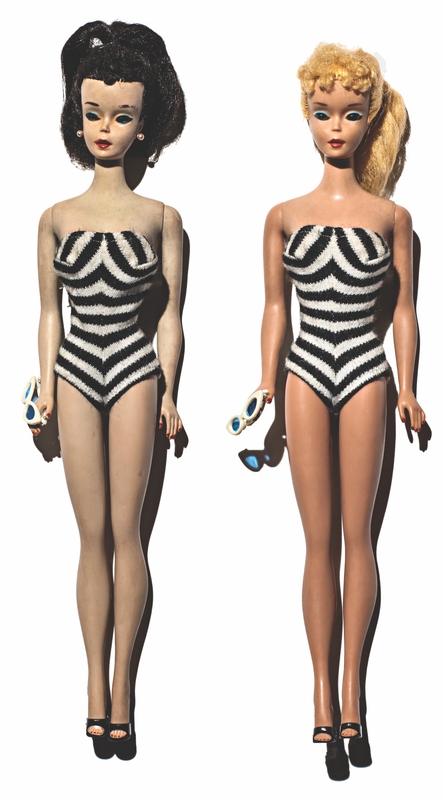 People have blamed their problems on Barbie—for feeling worried about how much they weigh, that they don’t dress right. I can’t deal with that. Everyone can blame somebody or something for their problems. I mean, it’s just a doll. The butcher, the baker, and the cheese maker weren’t always under one roof. Propelled by the idea of the ultimate one-stop shop, L.A.’s drive-in markets morphed into the modern grocery experience. Let’s get one thing straight: The terms “grocery store” and “supermarket” are not interchangeable. So if you’re saying, “Wait, I thought a Piggly Wiggly in Memphis was the nation’s first supermarket,” we’d say, “No, that was a dry-goods-only grocery store.” The supermarket—well, that’s another story. 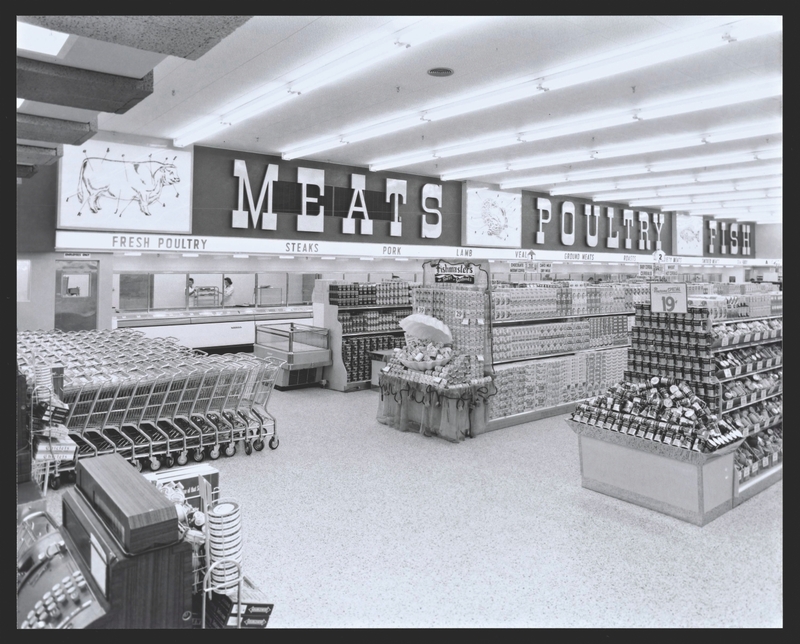 L.A. invented the supermarket and the supermarket invented L.A., or so said Vons founder Charles Von der Ahe. The mogul noted that as our linear city expanded, the first anchor in a neighborhood was always a sparkling new Vons or Ralphs, stores that forecast the endless expansion of our decentralized city. Just as the private automobile was coming into favor during the 1920s, Los Angeles responded with a completely different kind of building tailored to motorized transportation. Drive-in markets with multiple storefronts—bakeries, butcher shops, produce counters—were springing up all over town, each a sort of early version of the one-stop-shop mega-store. At the same time, electric refrigerators started replacing iceboxes, enabling Angelenos to stock up on a week’s worth of groceries in a single trip. Key players in the West Coast hip-hop scene turned the subgenre into a national phenomenon. Having come up in South-Central Los Angeles, Ice-T made his mark in the late ’80s by rapping about the life of a street-level, gang-affiliated criminal. The stellar songwriter’s landmark tracks “6 in the Mornin’” and “Colors” were the first to detail the X-rated exploits of L.A. thugs, the consequences of their actions, and how society was at least partly to blame for their lifestyle. On top of that, they were huge hits. 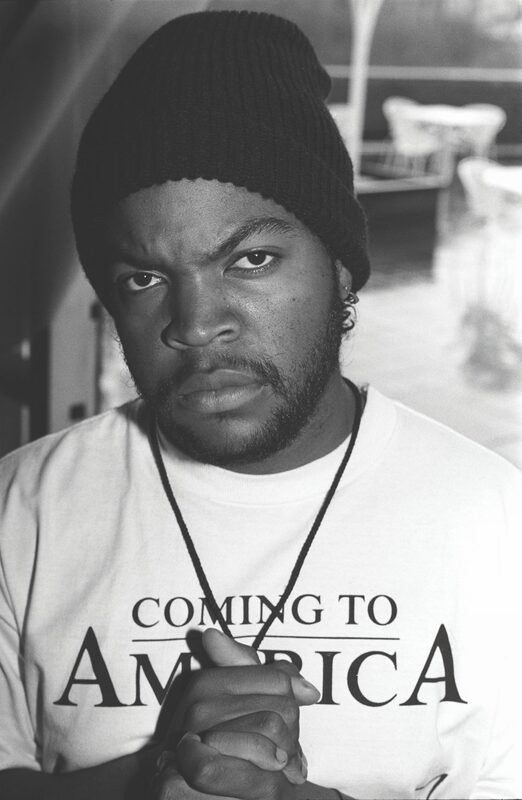 Around the same time, Compton’s EazyE, Ice Cube (above), Dr. Dre, MC Ren, and DJ Yella—you know them as N.W.A—popularized the rage-filled sound, confrontational lyric style, and menacing look synonymous with early gangster rap (a Jheri curl, black sunglasses known as locs, Los Angeles Raiders gear, gold rope chains, and black jeans). Darker, reality-based narratives highlighting police brutality and systemic racism suddenly replaced the characteristically lighthearted rap at the time. L.A. rappers like Nipsey Hussle and Vince Staples are carrying the torch of their musical forebears, but they’re leaving their own marks by approaching the game entrepreneurially, too. Consider Hussle’s 2013 mixtape, Crenshaw: Despite being unsigned when it dropped, he sold 1,000 copies for $100 each as part of his Proud2Pay campaign, which incentivized mega-fans with concerts and signed photos. Gangster rap now stands as a premium blend of culture, commerce, and creativity. Disney’s most magical mascot saved a movie studio from ruin, and then he went on to become the stuff of legend. 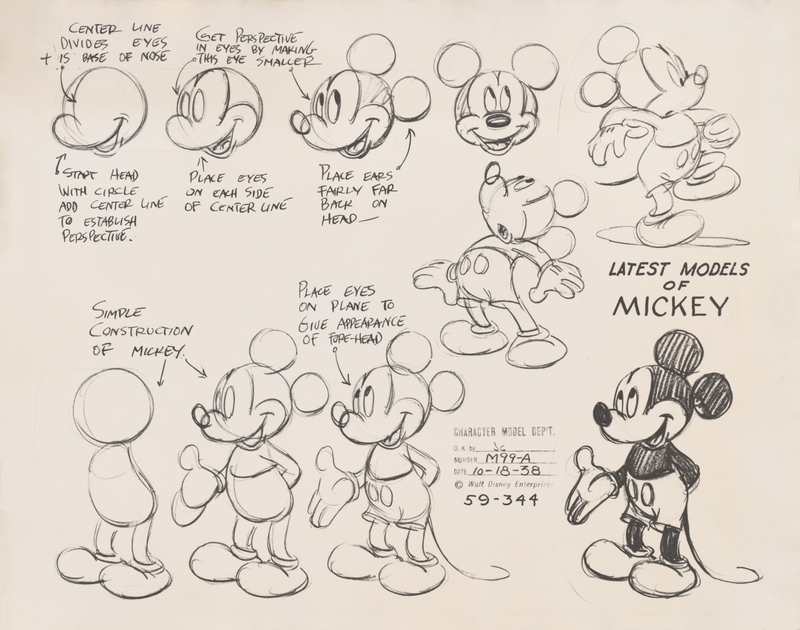 Walt Disney's Mickey Mouse: The Ultimate History, courtesy Taschen, Disney Enterprises Inc.
Mice typically aren’t talked about in hushed, reverential tones. But Mickey isn’t your typical mouse. Today we know him as the face of a brand with formidable global reach, but it took five years— and the near-collapse of the Disney brothers’ studio—before the world’s most recognizable rodent ever saw a sliver of the limelight. When Walt Disney arrived in L.A. in 1923, he crashed at his uncle’s place in Los Feliz and made cartoons with his brother, Roy, in the garage. Their big break came with Oswald the Lucky Rabbit, the star of several shorts commissioned and produced by New York’s Charles Mintz. After Mintz poached the company’s animators and even the Oswald character, the studio was on the brink. But then Walt started to think. He thought about the slapstick comedy of Charlie Chaplin, the cartoon art of Paul Terry, and the pet mouse he once kept at his desk. All of which led to one very important idea. At Walt Disney Studios on Hyperion Avenue in Los Feliz, Walt, Roy, animator Ub Iwerks, and others fleshed out a character named Mickey Mouse, all of them working in secret to complete the silent film Plane Crazy and send it directly to the copyright office. Their third film, Steamboat Willie, preveiwed locally in May 1928; six months later, it premiered in New York (with Walt voicing the lead role). Thus the wonderful world of Mickey came to be—and, well, you know the rest. > C.N. Custom car builders souped up rides with refurbished frames and candy-colored paints, giving the term “car culture” a whole new meaning. Navy veteran Masato “Bob” Hirohata’s 1951 Mercury was barely a year old when he drove it to George and Sam Barris’s Lynwood shop for a radical customization. 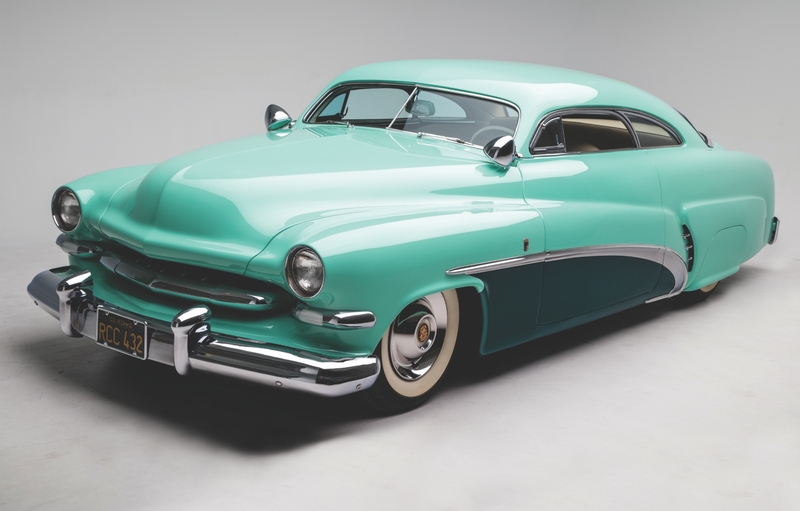 The coupe’s dualtone paint job (two shades of green, a total of 30 coats), sculpted sides, and lowered roofline created a wholly new kind of car. The style inspired generations to improve their rides, and George Barris’s reputation ballooned: He became the go-to builder for TV-ready cars like the 1966 Batmobile. In the 1970s Chicano artists, builders, and mechanics in East L.A. used full-sized domestic cars to make a countercultural statement. 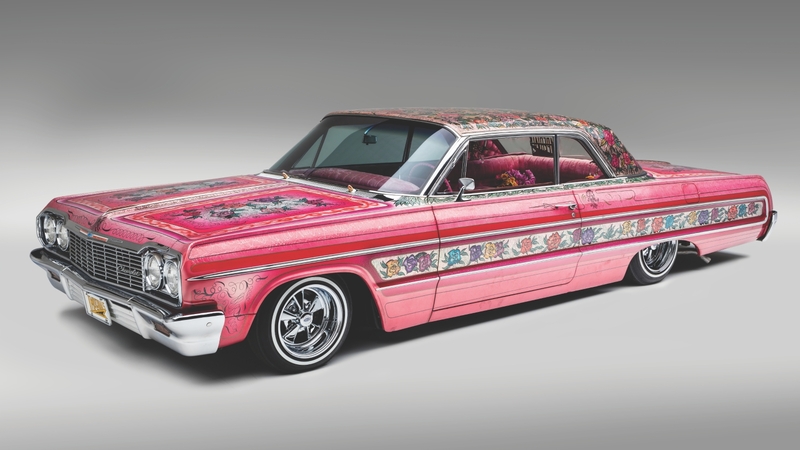 Jesse Valadez’s magnificent 1964 Impala was actually his third Gypsy Rose—the first proved insufficient, and the second was destroyed by rivals. The car is lowered on hydraulics, sealed with over 20 gallons of lacquer, and adorned with 115 flowers in shades of pink, yellow, blue, and purple (there’s even a cocktail bar in the back seat). Its influence is so profound that the Gypsy Rose was recently inducted into the Historic Vehicle Association’s national registry. New York’s 1969 Stonewall riots—a response to police raids of the Stonewall Inn— are often cited as the primary catalyst for the gay rights movement in America and beyond. 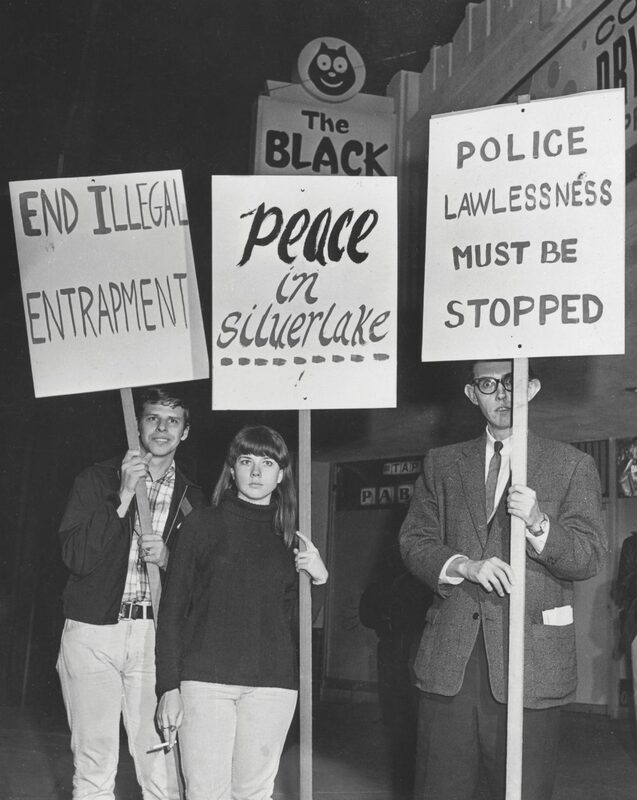 But the nation’s first major gay rights rally took place two years before Stonewall, at Silver Lake’s Black Cat Tavern. Activists spent weeks secretly organizing a protest after plainclothes officers beat and arrested 16 people at the gay bar’s New Year’s Eve celebration, six of whom were charged with “lewd conduct” (kissing). On February 11, 1967, hundreds of protesters—some estimates suggest 600—gathered at the corner of Sunset and Hyperion with picket signs for what was, at the time, the biggest recorded demonstration for gay rights that had ever occurred in the U.S. Today a restaurant of the same name can be found where the bar once stood. > Z.M. 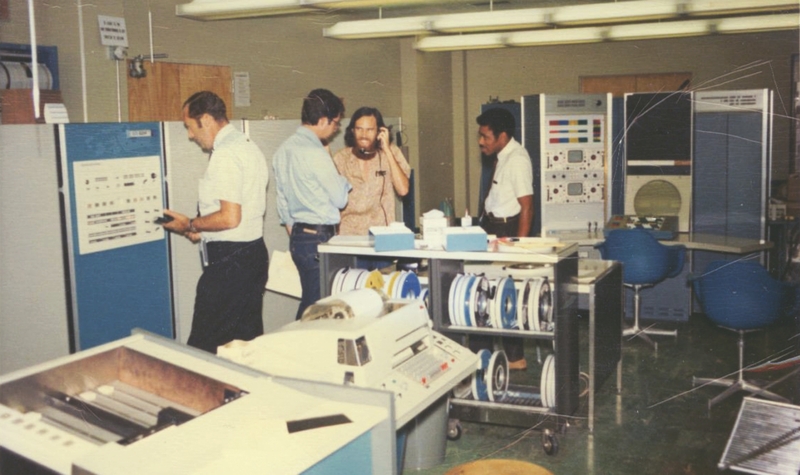 Before there was Google, Facebook, or any other website that’s embedded itself in our daily lives, there was ARPANET, a rudimentary network that laid the groundwork for a revolution in technology. UCLA was the first node, right? Once you were linked to SRI, what happened? Long Beach’s Lita Ford, aka the Queen of Metal, is rarely seen without one of her B.C. Rich shred sticks. Among her most recognizable is the Warlock, which she nicknamed Maurice after Samantha’s warlock dad in Bewitched. Not long after moving to L.A. in the ’30s, blues pioneer T-Bone Walker adopted a blond Gibson ES-5 archtop. He was one of the first big names to go electric, inspiring the likes of B.B. King and Eric Clapton. Santa Monica-born guitarist Randy Rhoads helped luthier Grover Jackson design this V-shaped beauty (and future ’80s legend) by sketching it on a paper napkin. Steve Vai wielded this love child of “why” and “why not” alongside David Lee Roth at the end of the ’80s. Find the eyeful turning heads in a glass case at Universal CityWalk’s Hard Rock Cafe. In ’67 Jimi Hendrix lit one of these beauts on fire, smashed it, and sacrificed it to the guitar gods, all to one-up the Who’s wild Monterey Pop set. Surfing may be the official sport of California, but at least skateboarding can brag about being invented in L.A. “Sidewalk surfing” emerged in the ’40s and ’50s as a hobby among wave riders (because good swells are elusive, but concrete is always available). Early skateboards were primitive—wood two-by-fours with roller-skate wheels fastened to their bottoms—until Bill Richards came along. 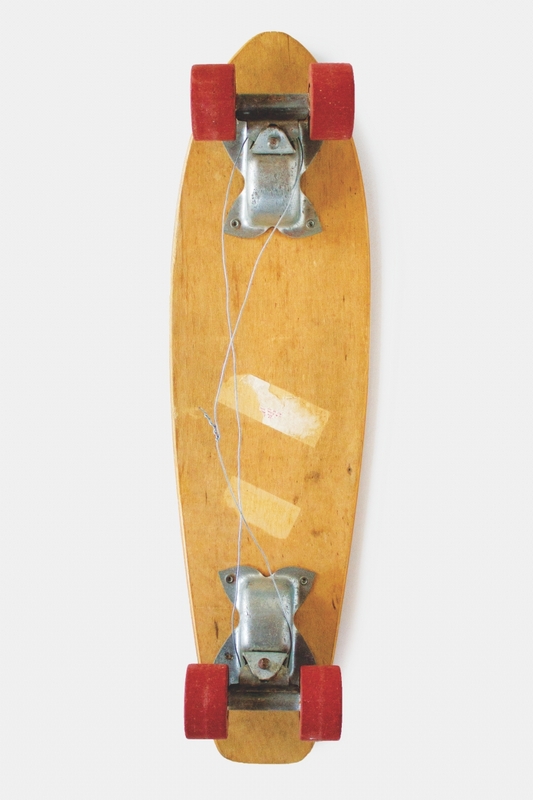 The North Hollywood surf shop owner manufactured the first modern boards with clay wheels in 1958. 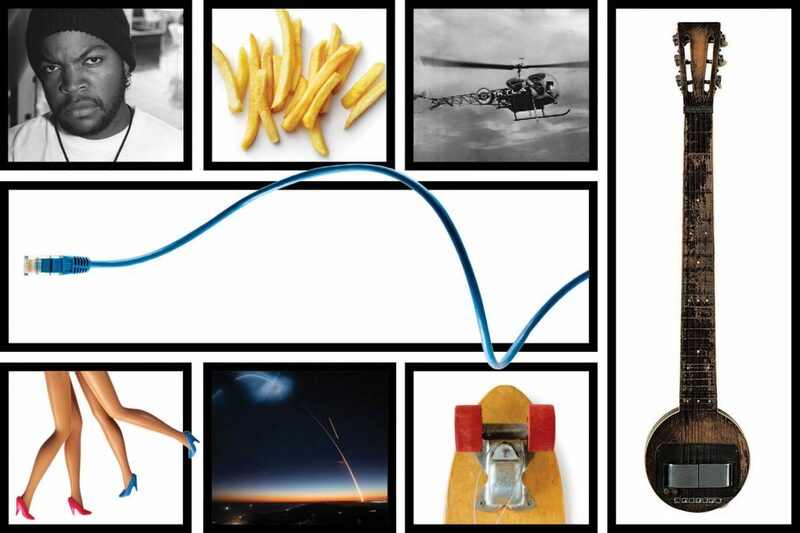 More than a decade later, polyurethane wheels and curved boards were developed. The design tweaks allowed Venice skate crews, most famously the Z-Boys, to perfect the ollies and other aerial tricks that define skateboarding today. > Z.M. It was Richard and Maurice McDonald—you know, the brothers behind McDonald’s—who developed the assembly-line preparation system seen in all your favorite quick-service chains. White Castle, which started in Wichita, Kansas, in 1921, is often credited as the first fast-food chain. But if we’re talking about the assembly-line production system ubiquitous in quick-service restaurants today—the very system that puts the “fast” in fast food—then the concept was invented in California by Richard and Maurice McDonald. The brothers opened a drive-in barbecue eatery in neighboring San Bernardino in 1940. Eight years later they retooled the whole operation into the marvel of efficiency it is now, rolling out burgers at speeds previously unknown to man. 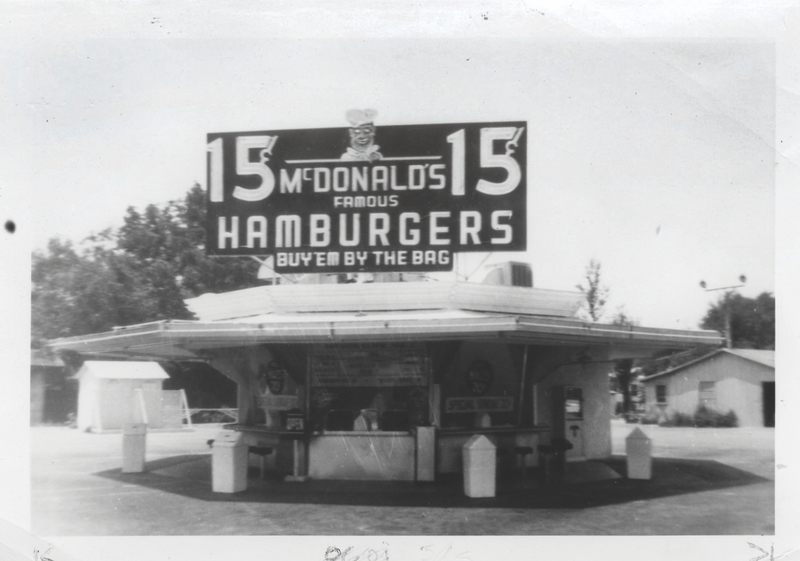 In 1953 they franchised a store in Downey (that one’s still going strong); as of this year, McDonald’s has more than 37,000 outposts and is the most valuable fast-food brand in the world (estimated to be worth upward of $126 billion). But we’re good for more than those golden arches—at least three other giants also got their starts right here. > C.N. Harry and Esther Snyder settled in Baldwin Park just as the region was being turned into tract homes. Burgers at their tiny stand were pricier than those at McDonald’s, but the couple took pride in quality and their innovative drive-through speaker system. Glen Bell was inspired to get into fast food in the parking lot of McDonald’s, where Richard and Maurice were all smiles and Cadillacs. So Bell quit his meter-reading job, simplified some Mexican recipes, and opened his first Taco Bell in Downey in 1962. John Galardi—a janitor in Glen Bell’s Pasadena branch—opened his own restaurant in Wilmington with help from his boss. “What about hot dogs?” Bell suggested. “They’re cheap, easy to prepare, you don’t need cutlery, and they’re popular.” Simple as that. 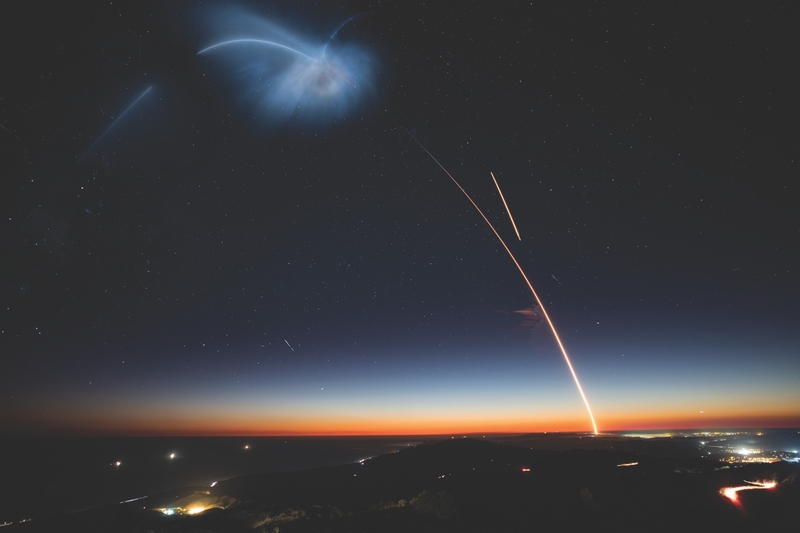 When it comes to advancements in American space exploration, L.A.’s Jet Propulsion Laboratory played a pivotal part in getting us to the final frontier. 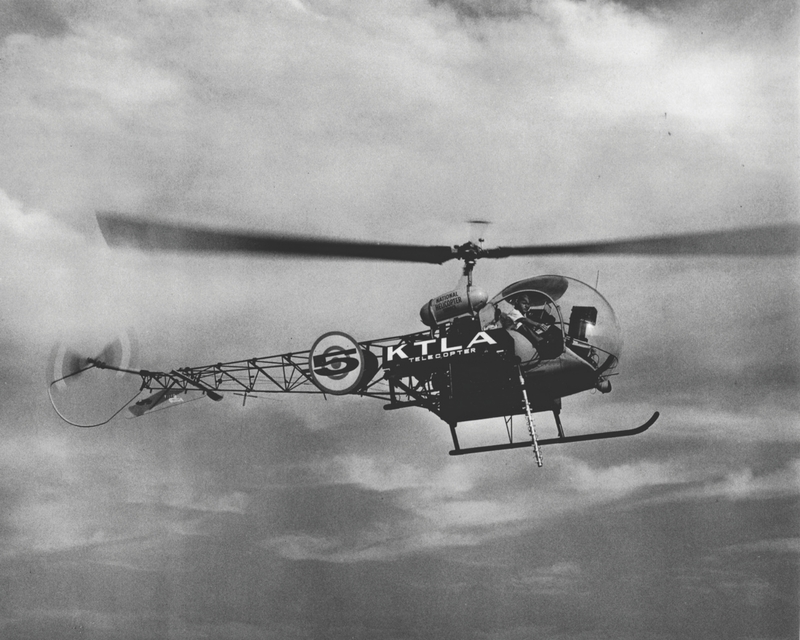 Who helmed the rocketry experiments that eventually led to JPL? Were their sights always set on space exploration? Was that considered a realistic option at the time? It was JPL, though, that built Explorer I. Did the team see its work come to fruition?